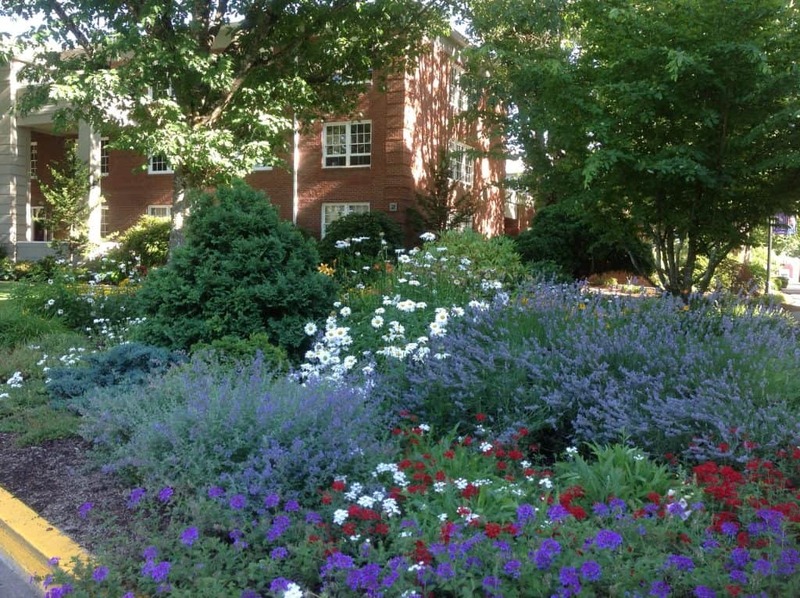 Linfield College is a beautiful 193-acre campus about an hour outside of Portland. Wow, did I love Linfield College! Faculty-student interaction is the hallmark of the liberal arts education here, where there are just 1400 undergraduate students on a sprawling 200-acre campus in McMinville, Oregon, about an hour away from Portland. There are 300 wineries within 60 miles (parents – GREAT PLACE TO VISIT YOUR KID FOR FOUR YEARS!) and students have the opportunity to work in different capacities within the industry, even before they turn 21. 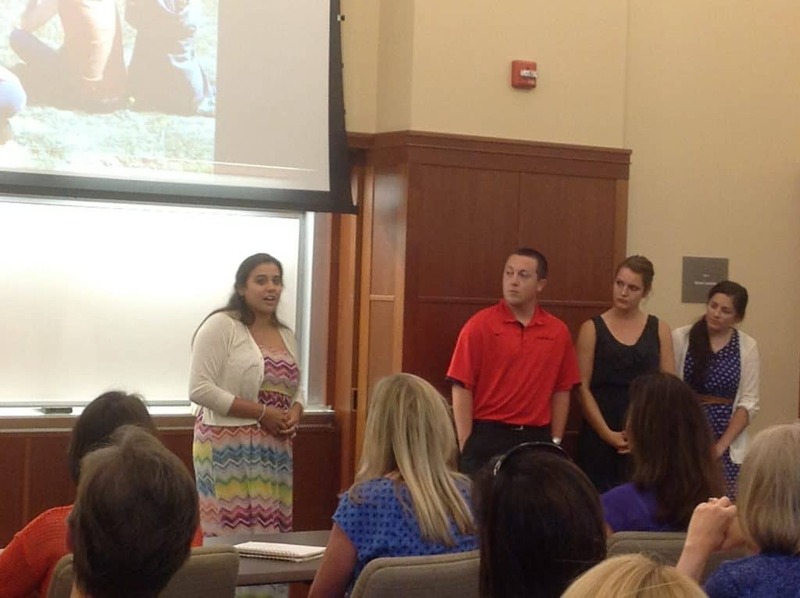 A panel of students and one professor talked about all of the different facets of the wine industry they are working in – the graphics design/visual arts major is concentrating her studies on wine labels; the marketing major is interning at a winery in their membership and sales department; the business major is working with winery accountants to learn more about the business side. A creative writing major talked about her respect for the workers after having spent a day in the field. Also on the topic of wine, the Oregon Wine History Archives are at Linfield College, in the library (which is the original building in which Hewlett-Packard made pacemakers – did you know that HP made pacemakers? ), and the International Pinot Noir Festival will take place on Linfield’s campus in the summer of 2013. Two students told us about their internships in the library, where they have been creating an archive of the history of winemaking in Oregon. But there’s more to Linfield than wine. Nobel-prize winning genetics research and other hard sciences like physics and biochemistry. There are both mass communications, which focuses on media, film, journalism and broadcast (check out course offerings here) and communication arts, which focuses more on rhetoric and specific communication topics (check out course offerings here). The business major offers a sport management minor and a full International Business major option. A full spectrum of majors and minors can be found here. Study abroad is so strongly encouraged at Linfield that the college will pay for each student’s first round-trip airfare. 68% of students take advantage of this amazing offer. A wide variety of languages is offered so students may select from many study abroad opportunities. 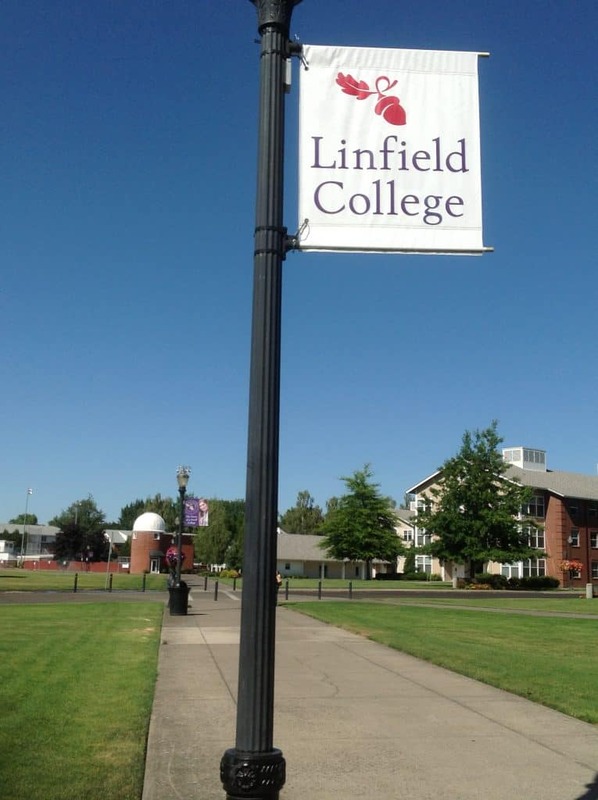 Students at Linfield are competitive but not cutthroat. The school requires students to live on campus for three years; 40% of seniors choose to stay on campus their final year. A whopping 96% of students graduate in 8 semesters or less (this is an AMAZINGLY HIGH rate). I spoke with numerous professors and it is clear to me that Linfield offers a very hands-on education. This is a great place for students who don’t want to get lost in the crowd, and who want to experience college as a collaborative intellectual environment. I took a short video of my tour guide Erin, talking about her experience at Linfield; you can see that in this post. You can see all of my photos from Linfield College here.